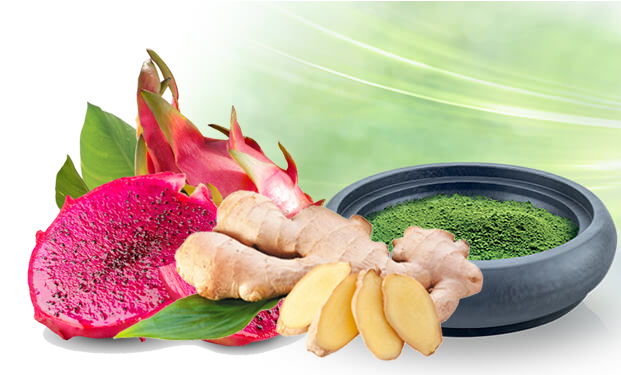 Quantum Nutridrink (QND)+Ginger is a healthy enzyme concentrate made from fermented red pitaya fruits, fermented ginger and enhanced with superfood Spirulina, preferred by adults. With over 3 million sachets served in Malaysia, Taiwan & Macau since 2007, this delicious enzyme drink is a great replacement of empty calorie sugary beverages, which are high in sugar and provide low/zero nutrients. It is ISO22000 qualified meeting both international GMP and HACCP standard. Pitaya fruit's Olygomeric Proantho Cyanidin (OPC) and beta-carotene are strong natural antioxidants that defend free radical attacks, delay aging, assist in lowering blood pressure levels and may assist in the prevention of heart diseases. Ginger is known to improve blood circulation. With improved circulation, the body can better distribute nutrients and oxygen while collecting wastes throughout the body and helps eliminating the wastes from the body. Spirulina contains 65% of protein including all 9 types of essential amino acids, 20% carbohydrates including fiber, 7% minerals and 5% essential fatty acids for brain development plus antioxidant and anti-inflammatory rich Superoxide Dismutase (SOD), chlorophyll, beta-carotene and bioflavonoid. Spirulina is recognized by nutritional experts from United Nation, USA, China, Japan, Germany, Mexico and World Health Organisation as the most complete & ideal source of nutrients. Oligosaccharides are the prebiotic that stimulates good bacteria growth and improve digestive health. Suitable for both young and old. 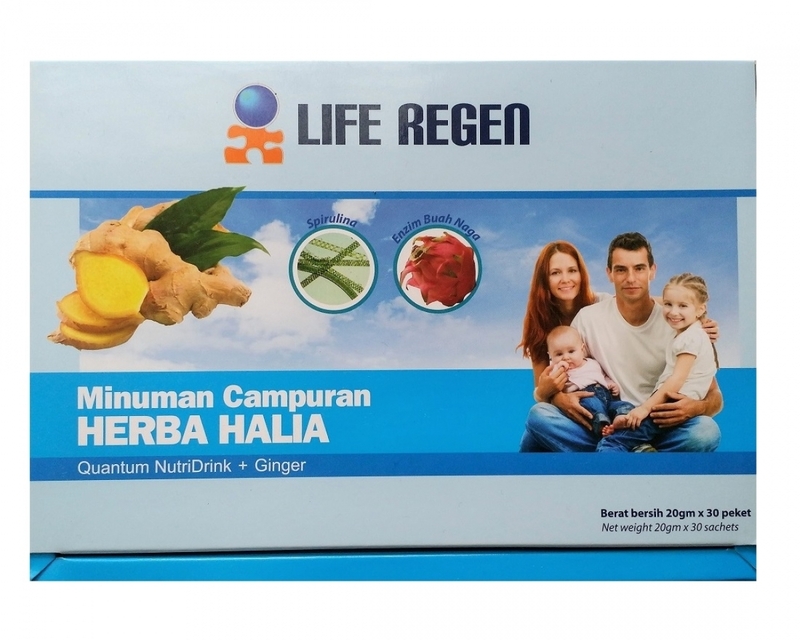 This healthy and nutritious natural food is definitely the best drink for the whole family. For the aged and frail, let QND be your nutritional supplements. A great traveling companion – when you need to be away from home whereby local food and beverage may not be your preference, let QND takes care of your basic nutrition needs. It is also convenient to carry. It can be consumed direct or as a beverage by mixing 1 sachet (20g) of QND+Ginger with 200-300ml of room temperature water or beverage of your choice. Best on empty stomach. % Daily values are based on 2,000 calorie diet. Your daily values may be higher or lower depending on your calorie needs.